If you are looking for butchers in Rainford and surrounding areas, then look no further than the expertise on offer at Cooks of Rainford. We are based locally and offer free local delivery, so don’t delay, call us or pop in today! We have an unrivalled reputation in the area and with over 80 years established and 200 plus years of experience you can be in no doubt of our high quality products and our first rate customer service. We are both EU & HACCP accredited and have recently been awarded 5 stars for environmental health & hygiene. 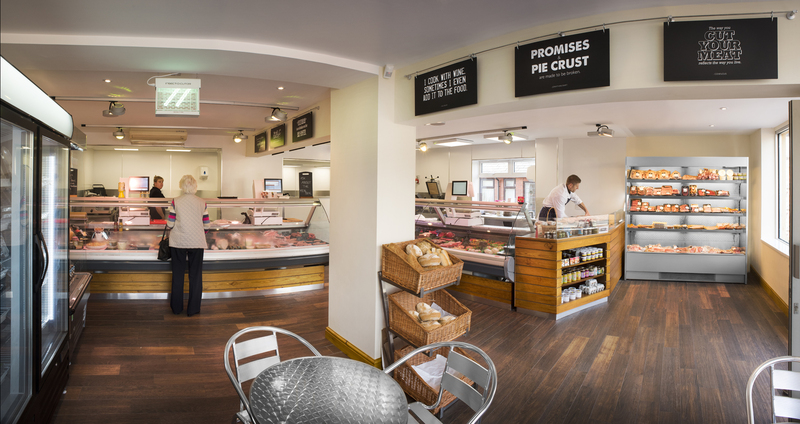 We offer fine meat cuts – beef, lamb, pork and poultry – as well as hand made sausages, home made pies, black puddings, haggis and much more. Many of our products are farmed locally and we have have many organic products on offer – and with our on-site stress free abattoir you can be confident of the origins of all our meat products. 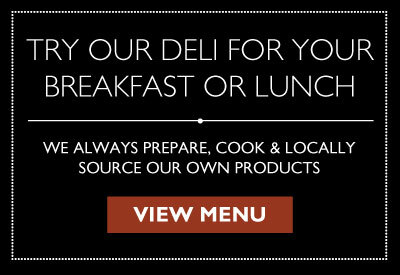 We recently added a deli and cafe area to our shop where we offer only the very best of locally sourced meats, cheeses, sauces and drinks. For the catering trade, we deliver throughout the Northwest and surrounding areas using our refrigerated vans.